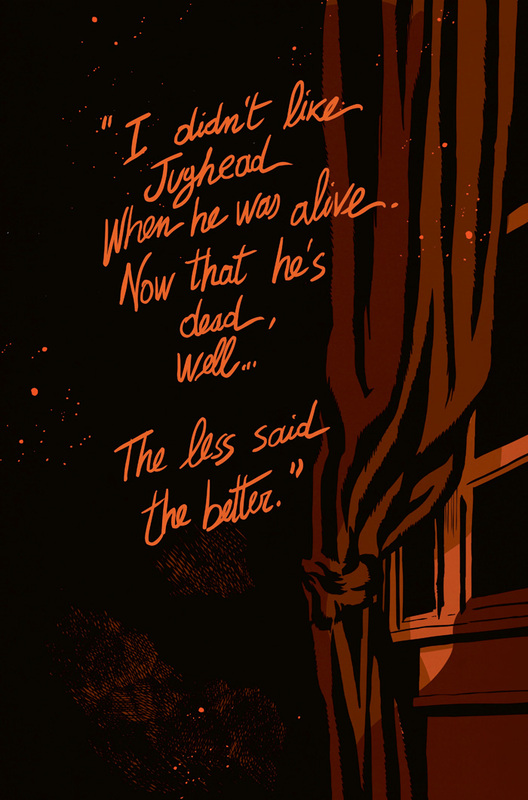 The zombie apocalypse has begun in Riverdale… and we’re just getting warmed up! 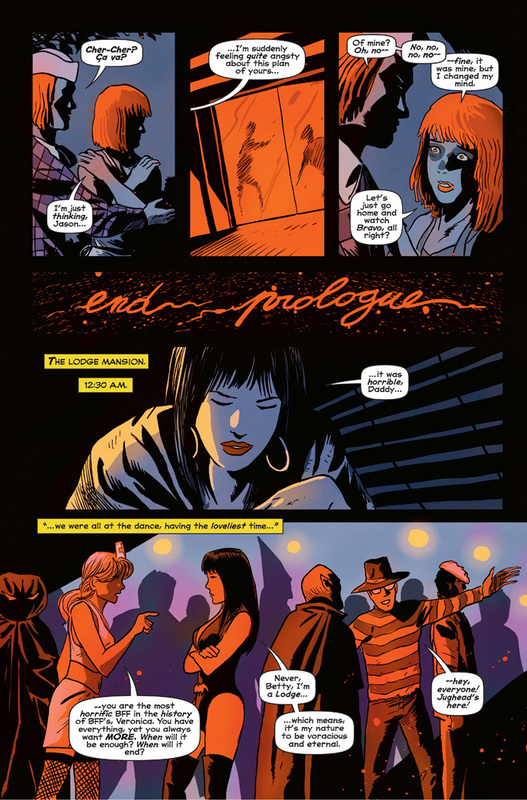 After the smashing sold-out debut of Afterlife With Archie comes the next chapter of this white-hot ongoing series from dream team Roberto Aguirre-Sacasa and Francesco Francavilla. 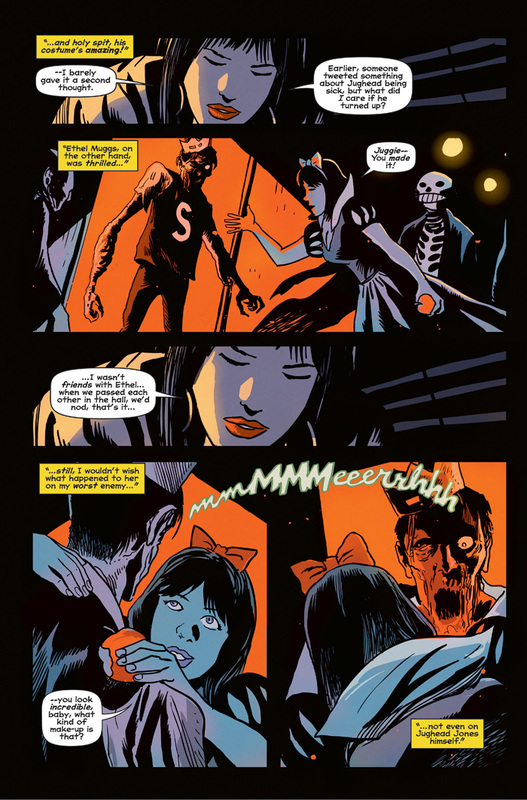 Feast your eyes on this special preview of Afterlife With Archie #2 for an early peek at the insanity threatening Archie and friends. 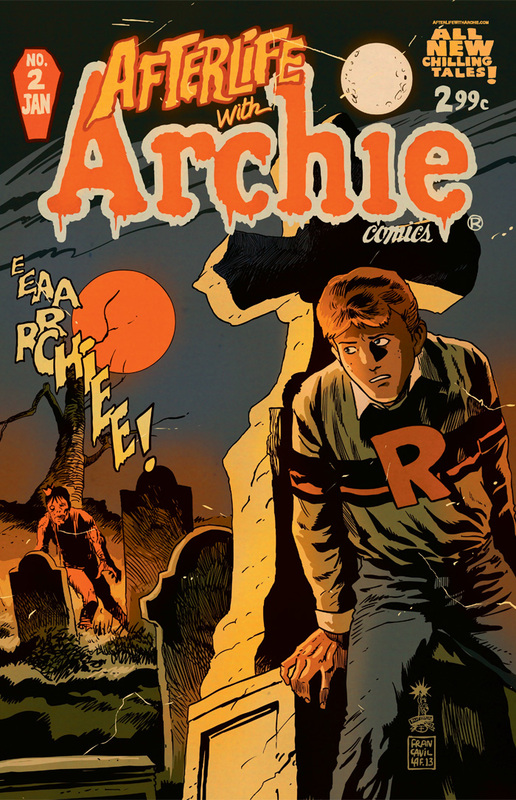 Jughead was the first to fall and rise again as the undead, but he won’t be the last as his appetite for burgers has been replaced by human flesh—and no one is safe! Who will make it out of Riverdale alive and who will be the next victim of the zombie contagion? 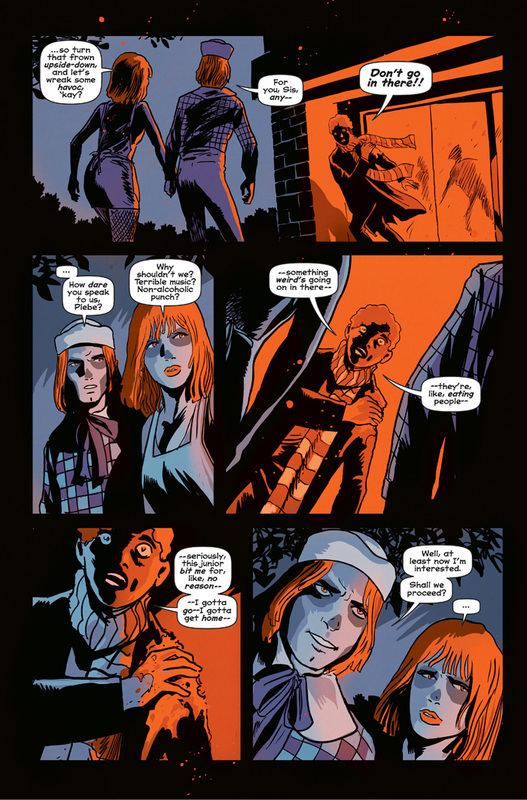 You don’t want to miss a second as the horrors continue to multiply in the hit ongoing series Afterlife With Archie. 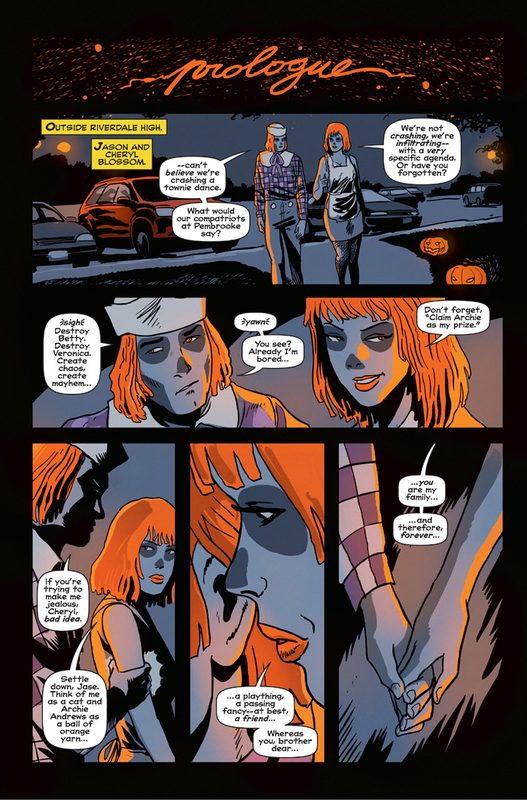 Treat yourself to a First Look this Halloween before the issue hits comic shops exclusively on 11/20!